Woot! woot! received my bag of love in early July. I took quite sometimes to write since I need to try out the product. Not like the effect from the product is like magic so it took sometimes. 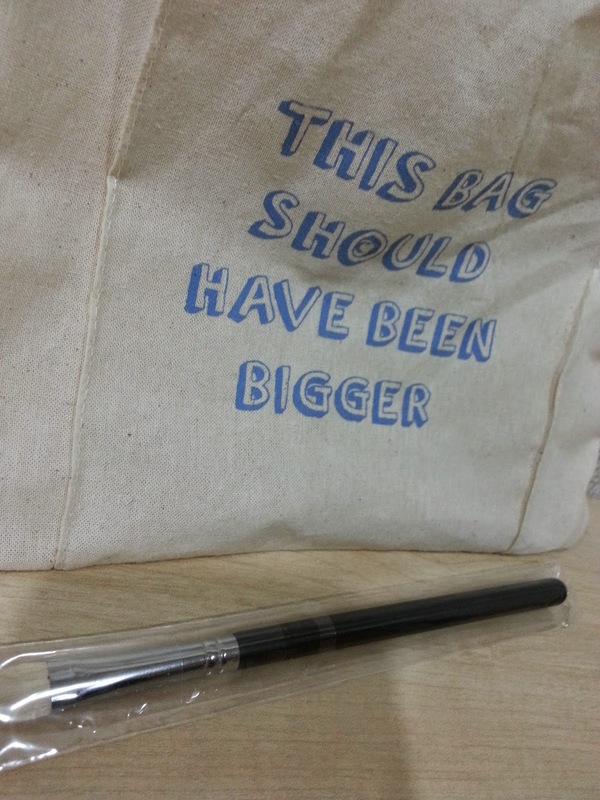 They have everything travel size and samples of beauty product and vouchers in this beautiful eco friendly bag. That is why it call bag of love! Let me introduce one by one of this items. All you need to do to apply this on your eye area.Don't forget to clean your eye are first. I applied it after using my eye make up remover then wash face with my normal daily cleanser and apply some toner. 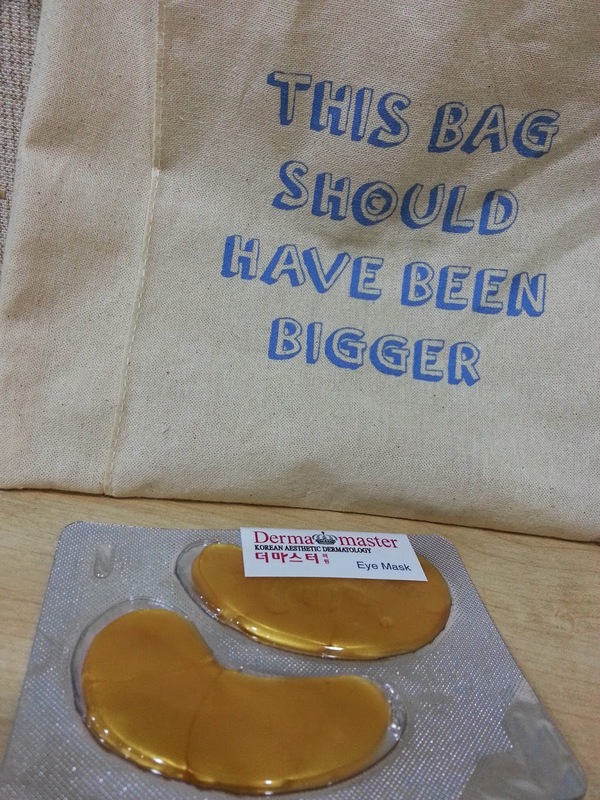 Apply this eye mask and relax for 15 minutes while listening to my favourite band CN Blue. For inheritance 'panda eyes' like mine??? mmmmm..... no beauty product works like magic! I could feel my eyes area feel more moisture and fresh! 'Panda eyes' ...of course it still there...its inheritance duh! I give a thumb up for this mask. Novaexpert is an award winning cosmeceutical skincare brand created by team of French doctor. Best of all they won many awards in shortest time. 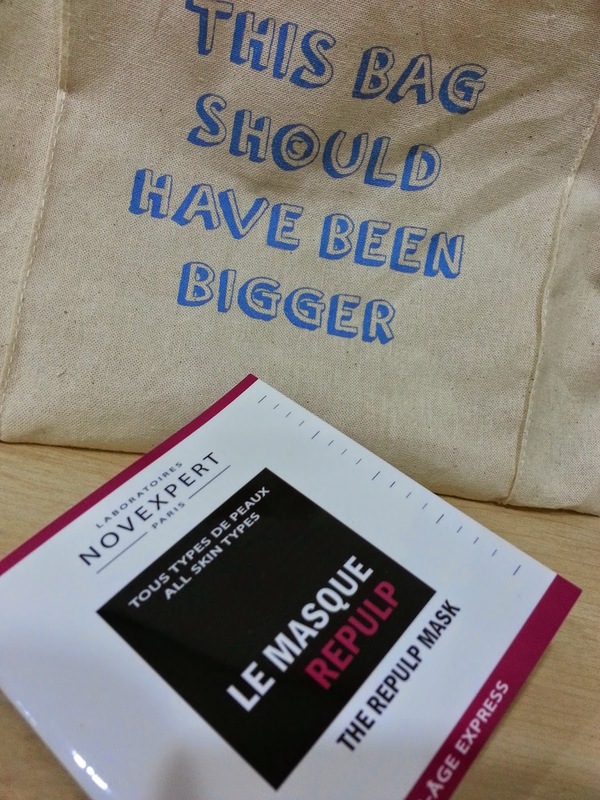 Just apply the repulp mask on to your clean face. Then rinse with warm water and switch progressively to cold water. Pat dry your face and apply your favourite serum and moisturiser to your face. Lovely baby face effect-smooth ,soft and bouncy skin feel. 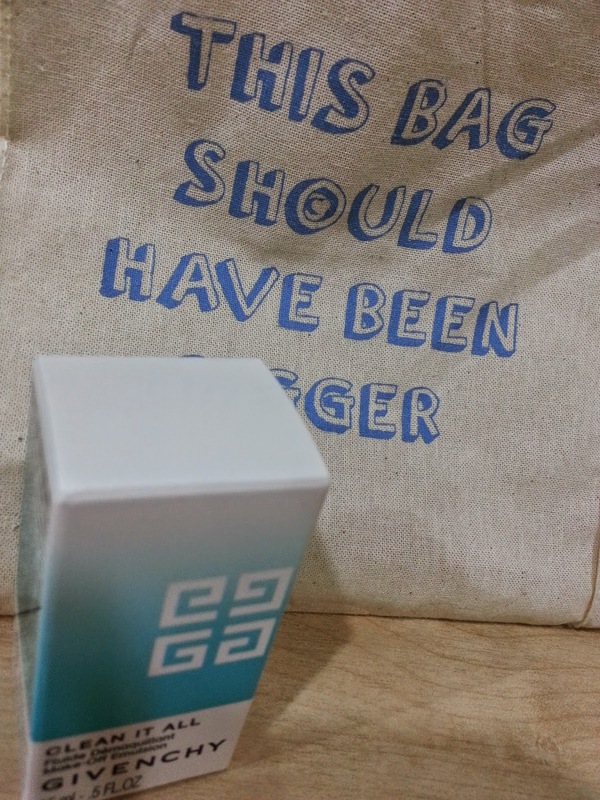 Lovely travel size which you can squeeze into handbag or purse. Tips to smells fresh all day with you favourite perfume is to spray it on pulse points such as wrists,inside of elbows and behind knees. This range was launched in early 2014 and has that glamorous and fit for red carpet. O wow!!! I feel like a DIVA! It smells sweet fruity with a bit of raspberry , roses and best of all my favourite one bergamot.. 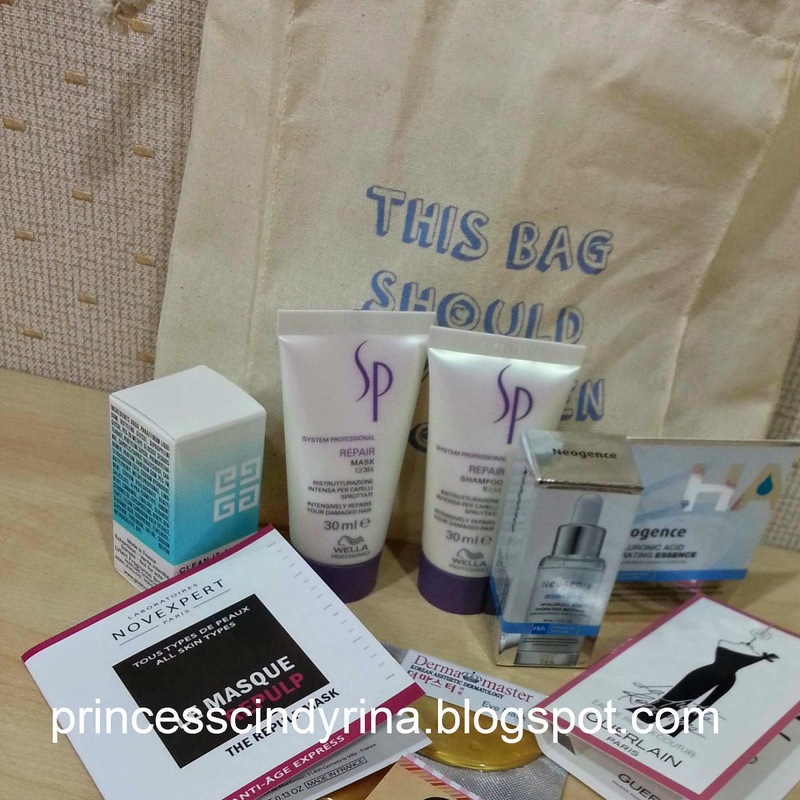 I normally clean off my make up excess with just water and Mizon snail repairing cleansing foam from Mizon Korea which I gotten from qoo10.my. I should have applied this make up with remover or something but me so lazy and don't you think this will cost me more??? ahahaaha...a bit cheapo huh? I save cost ma! Too many step then my routine will get more draggy! Anyway, when I tried this givenchy Clean it all make-off emulsion, i feel it is a must to have this step to be added into my daily routine. All of us thought cleansing foam is enough? Oh! may be not all of us. May be just me! duh! I will never step out from home without applying either CC Cream or BB Cream. I sounded like Korean Celeb for a second huh? Minus that seconds and I just this tan normal Asian from Malaysia. Using just cleansing foam to wash away the CC Cream or BB Cream from your face is not enough. Oh well even if you just use foundation...oh by the way...who still use foundation??? We are in CC Cream era...duh!!!! My face feel clean clean clean clean and smooth smooth with this thing. Totally need to add this on to my routine. aissshhh! I don't know how to space out that 2 photos. It almost stick out together so unable to write text after that first one. Editorial need to go on isn't it??? Wella Professional Repair Shampoo, 250ml and Well Professional Repair Mask, 250ml. Oh well! at least to me. 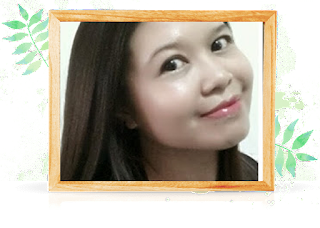 After my Siem Reap , Cambodia trip early this year, I brought back my super duper coarse , dried , tangled and frizzy hair with me. Seriously that tangle and dried hair make me afraid to visit salon. You know, that hair dresser will start selling their product and said this that this that and the most 'beh tahan' they will talk down about your hair condition. I am so fragile sensitive lil woman...isk isk isk afraid I lose my temper at them.WTH! 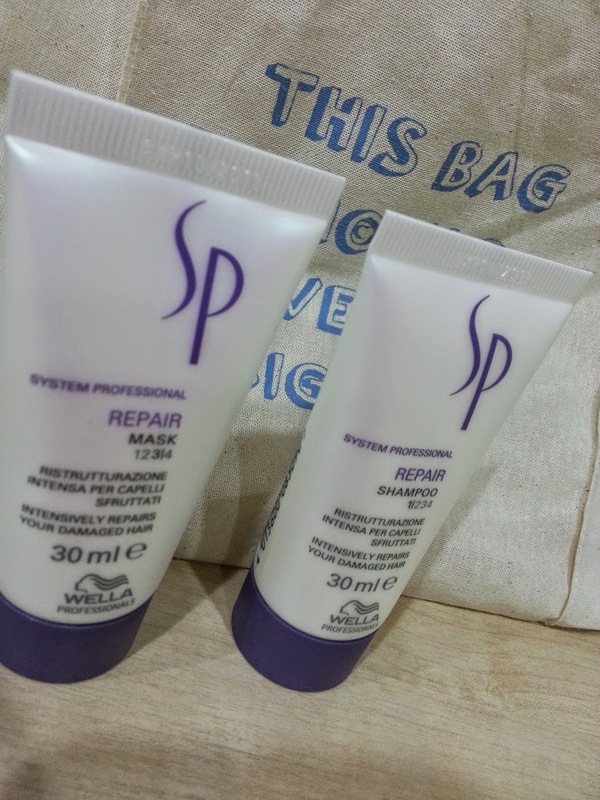 Wella Professional Repair Shampoo & Mask at 250ml each tube. Then when I tried this well professional repair series, now my hair more at eased. At least my hair not so tension like before. Its softer and less tangled. Just apply the repair mask to damp hair for 10 minutes then rinse it. Then distribute wella repair shampoo evenly through wet and lather. Rinse it thoroughly. Dry your hairs and the effect is ...nice and soft hair! 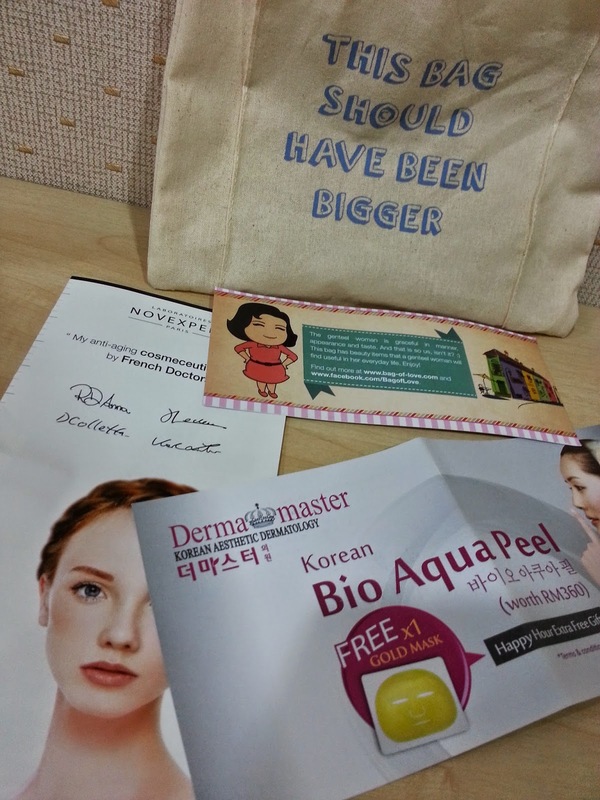 Other than sample and product, they are so lovely to include in some cash vouchers. for a beauty (chewwwaaahh!!!) with lack of beauty knowledge skill who always apply eye shadow with merely my point finger...this definite eye blender brush is such a blessed! 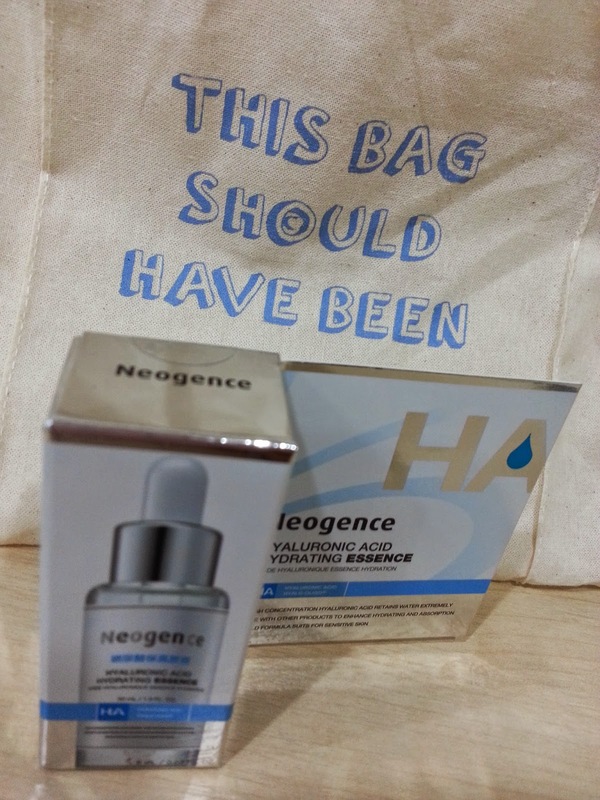 I applied it after toner on face and neck then follow with my normal moisturiser which is Anti Wrinkle Water Essential from Helen Park, Korea. The effect, my face feel fresh the next morning. OMG, I wanna try the eye mask!! I'm badly in need of those...... hahaha!